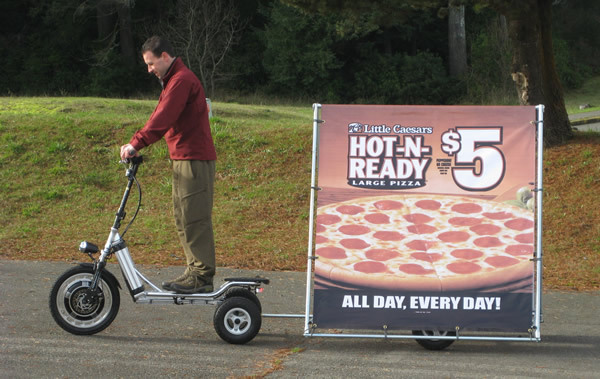 Bike Board electric scooter with matching 5′ x 5′ billboard trailer. 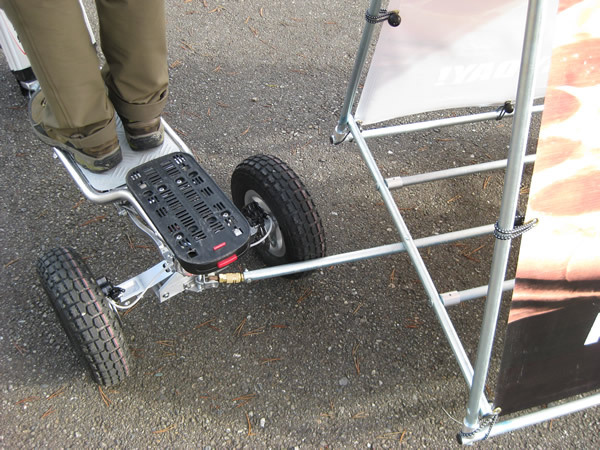 Bike Board is the best electric scooter we have tested yet. 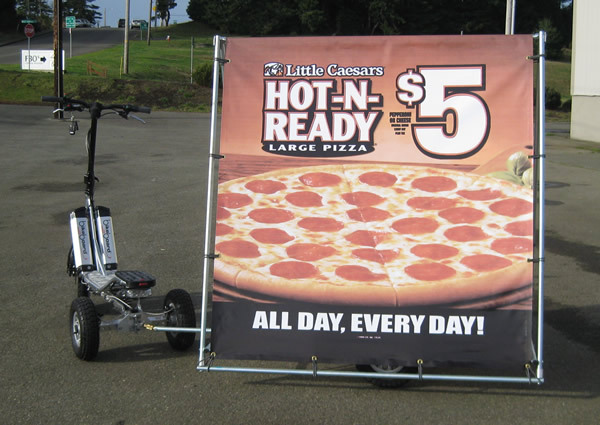 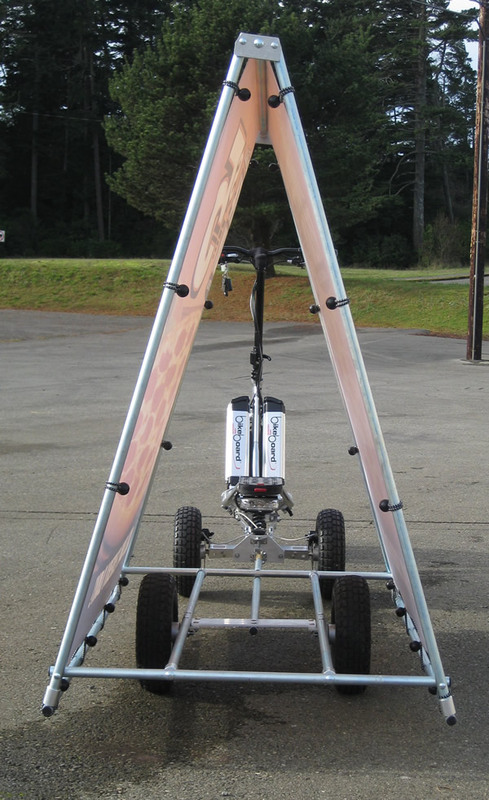 Easy to ride and a long range with two batteries and three speeds makes it perfect for pulling the billboard trailer. 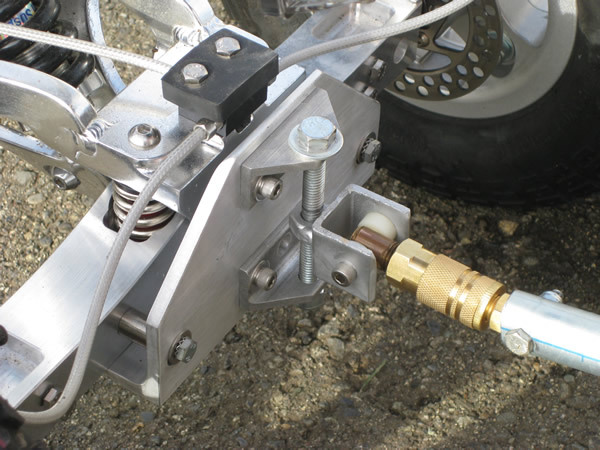 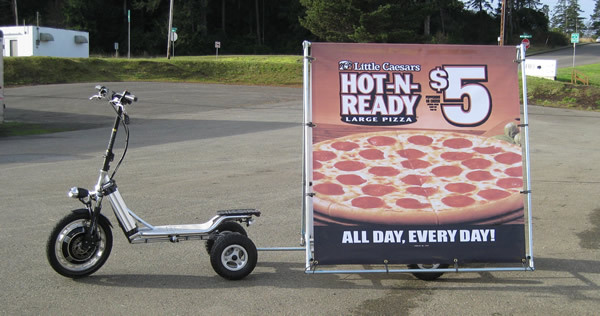 The custom hitch makes it easy to attach the billboard trailer, it swivels to handle and driving situation you may encounter. 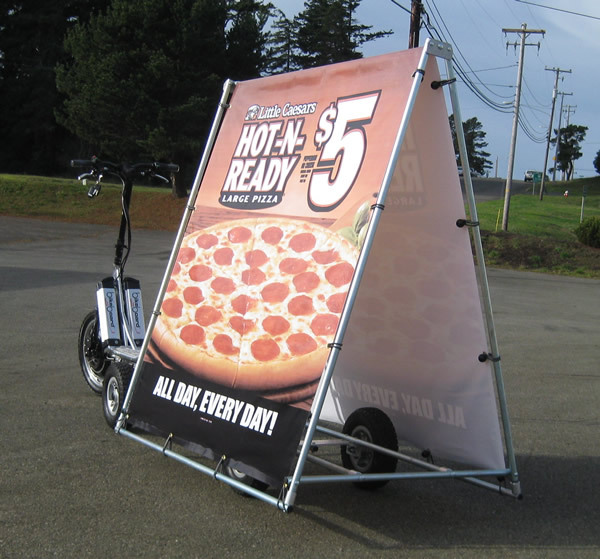 The 5′ x 5′ billboard trailer with matching wheels makes a bold high-end statement. 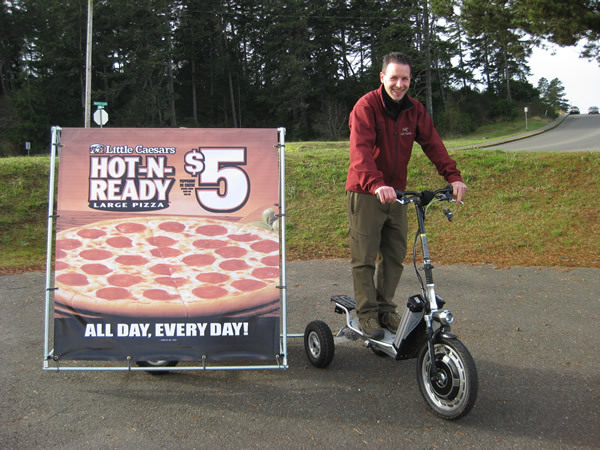 Going green and standing out is what this pair is all about.